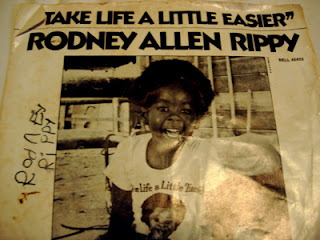 This is the 45 record hit single, "Take Life A Little Easier", from child star Rodney Allen Rippy. He made it big from doing a TV commercial for the "Jack in the Box" hamburger chain, back in 1973. I got this signed record jacket and record back in '73 at "The Wherehouse" record store on Crenshaw Blvd. and Rodeo Road in Los Angeles (this particular store closed over 20 years ago). 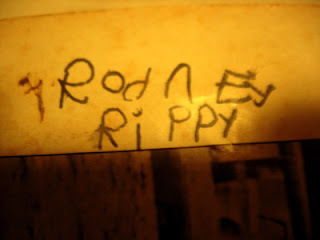 I remember Mr. Rippy, who was about 5 years old that summer, handing out autographed little scraps of paper that day while people bought his record. It was cool to see a real star in person (he was the first star I'd ever seen in person)! 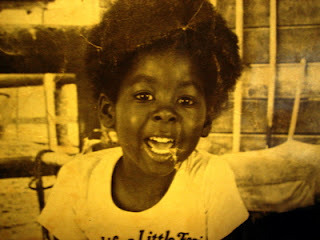 This record was put out by Bell Records, a division of Cobumbia Pictures Industries, Inc., and is Bell records #45403. The other single on the record is "World of Love".